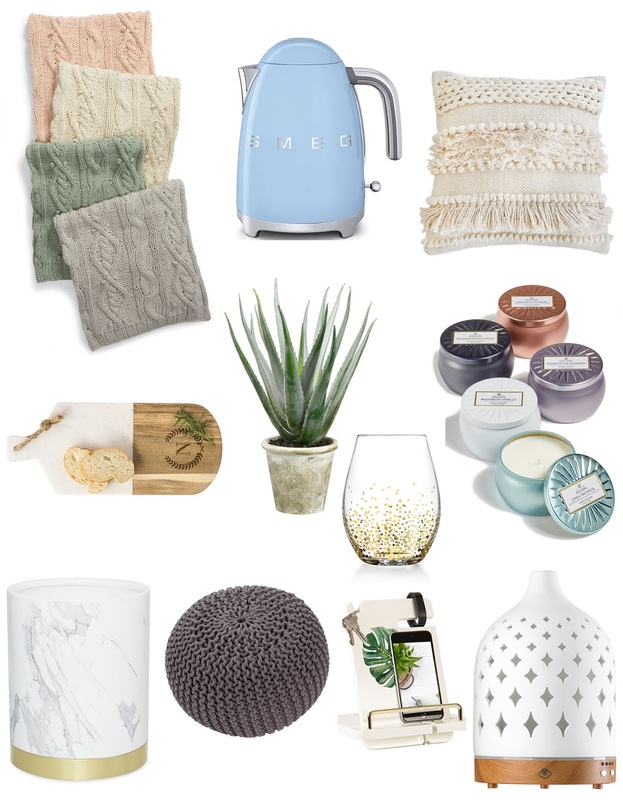 The Nordstrom Anniversary Sale is always a go-to for new fall clothing and exclusive beauty sets, but the home section is not to be missed!! Here are a handful of things that are worth a look. 1. Cable knit throws - It's like the cutest cable knit sweater made into a throw! 2. SMEG electric kettle - This has to be your taste, but I personally love the old fashioned look of the SMEG products. 3. Throw pillow - Throw pillows are the accessories of your couch, amiright?!! This pillow is a statement accessory. 4. Serving board - I know these serving boards are great for hosting, but if you ask me I like to use them regularly just to feel fancy. Why the heck not?! Make yourself a little charcuterie board for sitting in bed watching netflix. 5. Agave planter - Nothing spruces up a room like adding some greenery. 6. Stemless wine glass - These are cute for a summer get together or to (again) feel fancy when drinking your smoothies. Ha! 7. Voluspa candles - I love the packaging on Voluspa candles and this set is great to put in all the rooms in your home. 8. Marble print waste basket - If it's marble print, I want it. 9. Braided pouf - I love poufs as extra seating, accessories in a room, under a hallway table - there are so many uses for a cute one like this. 10. Docking station - I've seen this in person and it's adorable!! Charge your phone in a much chicer way. 11. Diffuser - A diffuser that doesn't look too obvious - love! To see all my Nordstrom Anniversary sale posts and videos, click here.